There is a company in the Los Angeles area called Three Elements Consulting, LLC. It works with other companies to advance social and environmental change. Clients include many green start-ups, as well as traditional companies working towards sustainability. The owner of this interesting company is Cassie Walker – an entrepreneur with an MBA from UCLA. If your company is interested in learning how to set up an environmentally sustainable program such as recycling, energy conservation, visit her website. She also has for sale a Green Office Handbook – a practical guide to greening any office. Check it out! It is official White House policy that the country reduces its green house gas emissions 80 percent by 2050. The mechanism to achieve this is an economy-wide cap-and-trade program. Just exactly what is a cap-and-trade program? 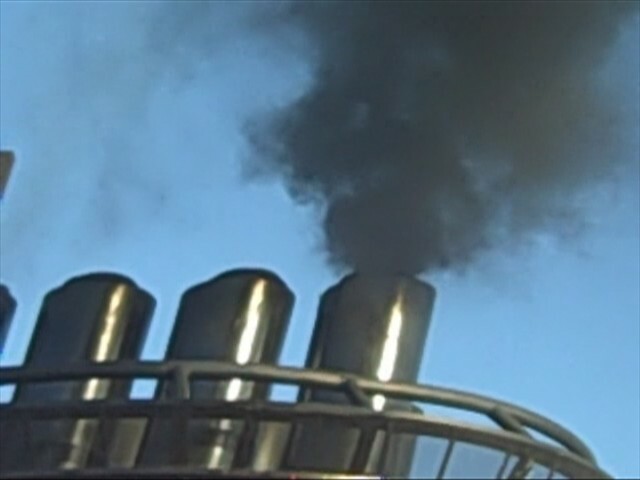 It is a regulatory program by which a limit is placed on the amount of emission that a facility can emit. If the facility is able to come in under the limit (cap) through operational means or emission control, it can then sell (trade) its emission surplus in an open market. If it is not able to meet the cap, it must go to the same open market to purchase (trade) emission credit to make up the deficit. An excellent example of a cap-and-trade program is the California’s Regional Clean Air Incentives Market (RECLAIM) implemented by the South Coast Air Quality Management District (AQMD) in 1993 for NOx and SOx. Here are some tell tale signs of what direction on environmental management the new administration will take us in the next four years. The New EPA administrator. Lisa Jackson has been confirmed by the Senate as the new EPA Administrator. She is a chemical engineer by training and was the Commissioner of the New Jersey Department of Environmental Protection. “Reducing greenhouse gas emissions. The President has pledged to make responding to the threat of climate change a high priority of his administration. He is confident that we can transition to a low-carbon economy while creating jobs and making the investment we need to emerge from the current recession and create a strong foundation for future growth. I share this vision. EPA will stand ready to help Congress craft strong, science-based climate legislation that fulfills the vision of the President. As Congress does its work, we will move ahead to comply with the Supreme Court’s decision recognizing EPA’s obligation to address climate change under the Clean Air Act. Improving air quality. The nation continues to face serious air pollution challenges, with large areas of the country out of attainment with air-quality standards and many communities facing the threat of toxic air pollution. Science shows that people’s health is at stake. We will plug the gaps in our regulatory system as science and the law demand. Managing chemical risks. More than 30 years after Congress enacted the Toxic Substances Control Act, it is clear that we are not doing an adequate job of assessing and managing the risks of chemicals in consumer products, the workplace and the environment. It is now time to revise and strengthen EPA’s chemicals management and risk assessment programs. Cleaning up hazardous-waste sites. EPA will strive to accelerate the pace of cleanup at the hundreds of contaminated sites across the country. Turning these blighted properties into productive parcels and reducing threats to human health and the environment means jobs and an investment in our land, our communities and our people. Changes to regulations. There will be “roll back” of some of the new regulations finalized by EPA during the last months of the previous administration. This is a rite of passage when there is a new administration. For example, under the Bush administration, EPA excluded from the definition of solid waste spent solvents that are to be reclaimed. That means generators do not need to manage their ignitable spent solvents as hazardous wastes while waiting to reclaim them. This rule became final in December of 2008 and could be one of the many new rules that will be reviewed by the new EPA and rolled back. Increase in enforcement. There will be more focus on enforcement of existing environmental regulations. 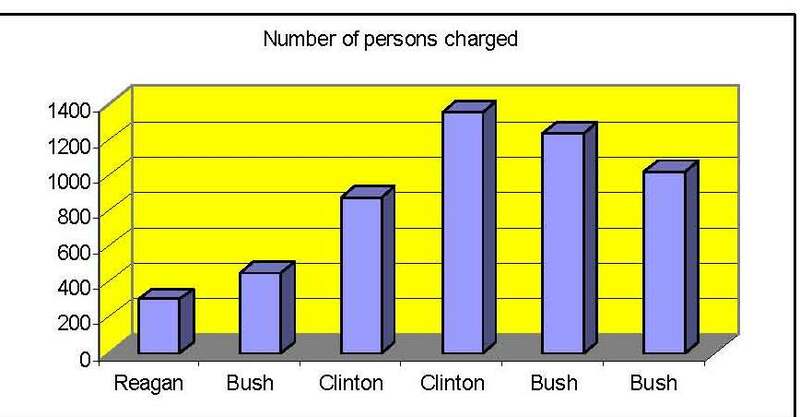 Historical enforcement data from EPA indicates that the number of persons charged with environmental crimes increased under a Democratic White House. (See chart). You can expect another increase in enforcement under the Obama administration. The push from Congress. The House of Representatives and Senate are now controlled by the Democrats with a sizable margin. It is reasonable to expect this new Congress to play a much more important and active role in formulating national environmental policies. In the Senate, Barbara Boxer of California is chair of the Senate Environment and Public Works Committee that has jurisdiction over EPA. On the House side, Congressman Henry Waxman – also from California – is now chair of the powerful House Energy and Environment Committee. Directives from the White House. As with any administration – Republican or Democratic – the background of the Administrator’s background is less important than the policy directives from the White House. Even before the new EPA administrator was confirmed by the Senate, President Obama already directed EPA to consider granting waiver to California and 13 other states under the Clean air Act to adopt more stringent tail pipe emission standards for automobiles. The same waiver had been denied under the previous administration. This is just a sign of the times.